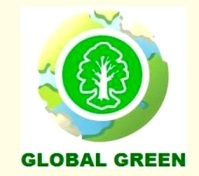 Global Green is a private national company focus on ecosystem restoration. We are working in an enterprise environment with special attention to social, economic and ecological in improving environmental services and be able to reduce the loss of local wisdom. Our goal is to maximize the function of forest as a unified ecosystem by doing forest protection, enrichment planting, reintroduction of indigenous flora and fauna, revegetation & repopulation and habitat management. As an ecosystem restoration company, we reward those who work around our project sites with various efforts for the welfare of the people, such as facilitating education, health, and local procurement. Currently, we develop ecosystem restoration project in Siberut (West Sumatra) and Kutai (East Kalimantan). In the midst of rapidly evolving forest degradation and resulted in the extinction of endemic species and other genetic as well as reduced quality of environmental services, Global Green as a restoration company to take the effort to to restore biotic and abiotic elements to production forest in order to achieve ecosystem and biological equilibrium in project site. By this project, we also provide some new concepts regarding the forest restoration that accordance with government policy and district citizen necessity by doing research and cooperation with other substances. By running the joint managing and collaboration on restoration, we will contribute a lot of direct or indirect benefits to each element of continuity and profitability of the forest ecosystem in balance.